1st Place! Illustration by Tom Shannon. 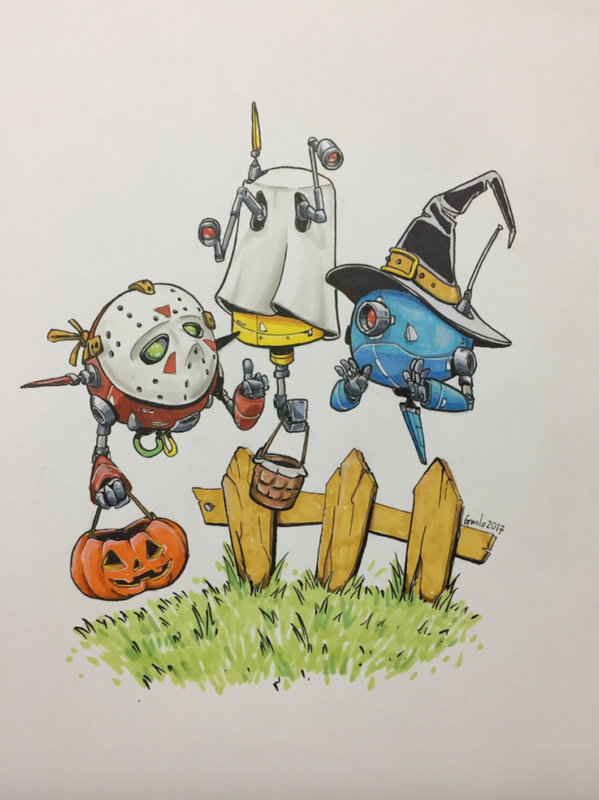 The October contest was a mashup of Halloween and Inktober - the challenge was to draw a Halloween-themed illustration in INK. Per Lee White, who judged the contest: "So overall I really enjoyed the work you guys did. I could see a little more struggle in the media but that is OK. Ink takes a while to really get a handle on and it's worth it in the end. Not getting to do an "undo" command teaches some very valuable things. Committing to a stroke or a wash takes guts! I've had so many happy accidents when doing that (as well as crappy moments where I ruined the piece!)." 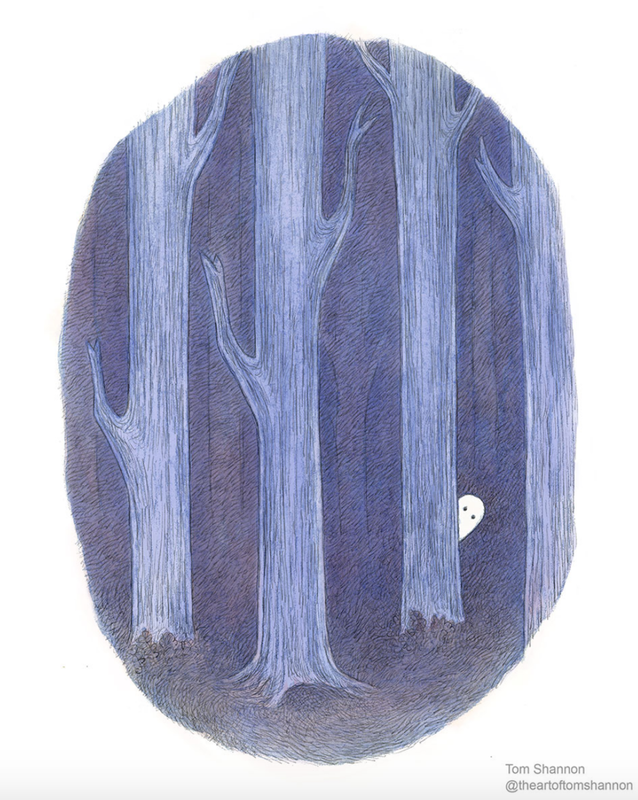 Tom Shannon snatched first place with his sweet and endearing little ghost hiding behind a tree. Per Lee: "Tom's piece is so elegant and simple and hit just the right note. 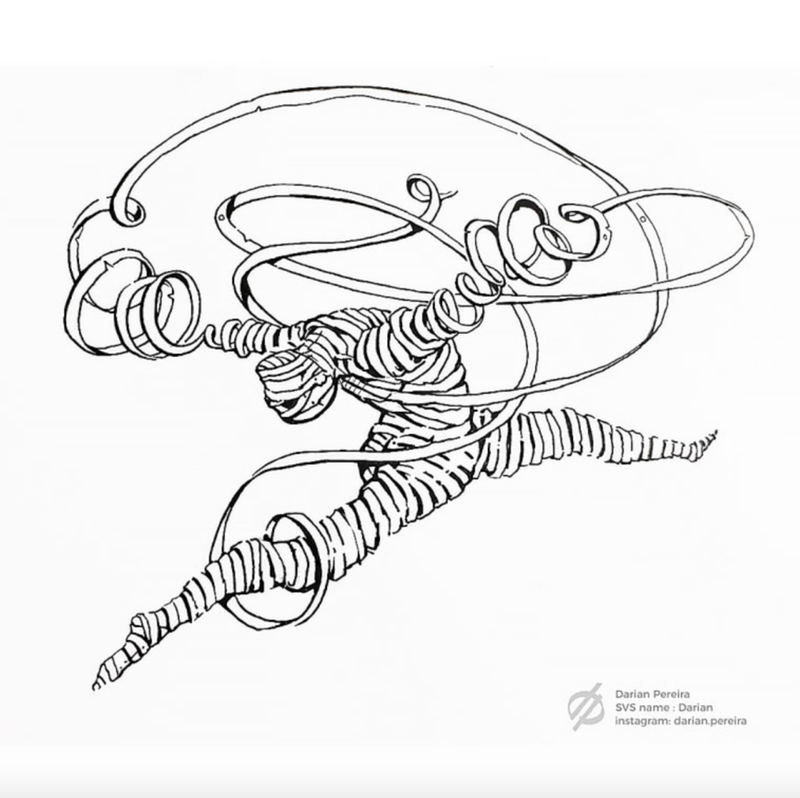 I love the ink lines that make up the tones and think the overall piece is just brilliant!" Jen Sweeney took 2nd place with her old hound dog, who just wants to get in on the Halloween fun. Here's Lee again: "What a beautiful and unexpected piece. Expert handling of the media and a very funny and creative solution." 2nd Place! Illustration by Jen Sweeney. There were lots of fun entries, so it was hard to pick just two 😀 Lee ended up picking four more entries as honorable mentions. Check out the work below! Honorable Mention. Illustration by Darian Pereira. Honorable Mention. Illustration by Alberto Gnolo. Honorable Mention. Illustration by Hannah Viera. Honorable Mention. Illustration by Jason McIntosh. Thanks again everyone for putting yourselves out there and taking part! Until next time! Newer PostWhat Makes A Picture Book A Bestseller?